Home » Our Blog » Chargeback Responses » What Transaction Modifier Affects Physical Goods? Let me frame a scenario. A merchant is devoting an ‘X’ amount of time to gather compelling evidence. This is to disprove a consumer dispute. Let’s say it involved a MasterCard transaction, and the associated reason code is 4853 – Cardholder Dispute. You provided the basic documents to prove your innocence. But the transaction modifier emphasizes that you need to prove that the disputed good was not counterfeit. That’s really the core of this dispute. But since there is no evidence addressing it, that ‘X’ amount of time went to the gutter, and a chargeback will be issued momentarily. Previously, we talked about the importance of addressing transaction modifiers for digital goods. This post will be a sequel to that discussion. Only this time, we’re going to list the transaction modifiers that affect physical goods. Its functionality remains the same, but the response methods will vary from one dispute to the next. But first, here’s a definition to help (re)start our discussion. It's one of several automated features that streamlines dispute management. Which Modifiers Belong to Which Reason Code? As stated in the previous post, it depends on the card network and how well a reason code addresses a dispute. Here’s one way to interpret the use of a transaction modifier. There are 28 transaction modifiers among American Express, Discover and MasterCard. Visa expired its transaction modifiers when they launched Visa Claims Resolution. Now, the card network relies on its reason codes (and VROL) to advice how merchants should respond to disputes. Here are the transaction modifiers you should be aware of when disputes are related to physical goods. You can click on each code to learn how to respond to each modifier. This transaction modifier also applies to disputes related to digital goods. This is something to be aware of if the dispute addresses the shipping methods and how the cardholder was able to pick up the physical goods. Surprisingly, Discover is the only network that uses this modifier—for two reason codes. One for fraud and another for a consumer dispute. This modifier focuses more on addressing whether the cardholder received the intended physical goods at the store. You’ll be able to disprove this dispute easily with the cardholder’s signature on the pick-up form. Moreover, all three card networks use this transaction modifier. Here are its associated reason codes. Discover uses this transaction modifier with four reason codes. Two of them are related to fraud disputes, and the other two are related to consumer disputes. What Other Transaction Modifiers Affect Physical Goods? MasterCard has a few more transaction modifiers associated to their reason codes. We’ll explain how to respond to these modifiers, as some may get a little tricky. This transaction modifier is focused on the currency that purchased the physical good. If you advertise that you accept multiple currencies, but you did not authorize the cardholder’s preferred currency, you can expect this modifier to appear. How to Respond: You need to provide all of the following compelling evidence. Make sure that it’s relevant to address both the modifier and the dispute. As a precaution, disclose that your business does in fact offer dynamic conversion. And make sure you tell them which currency you plan to use while accepting the transaction. Also, you need to to disclose any rates that are associated to the conversion. One way to address it is to ask some help from your acquirer. How to Respond: Ask your acquirer to provide certification that you are registered to offer Dynamic Currency Conversion (DCC). Also, ask for a copy of the transaction receipt, showing you accepted the transaction with the cardholder’s local currency. If you accepted it in your currency, state that clearly in your policies and before the transaction actually takes place. This modifier goes beyond whether you provided evidence on time. This can also be applied when cardholders claim they haven’t earned back their credit. For example, a cardholder returns a physical good and asks for a refund. Somehow (and again, I wish I knew how), the cardholder disputes that the refund hasn’t yet been processed. Are you tired of receiving baseless calls of non-receiving goods? Is it infuriating to see that call mold into a dispute? Here’s how you can disprove this dispute. We also have tips on how to use social media to your advantage. Feel free to take a look, and see how you can address a Non-Receipt modifier. And finally, this transaction modifier emphasizes that the physical was (apparently) not as described. Or it may been defective before using it after the transaction. Here’s what you need to do to address this modifier and associated reason code. It can get overwhelming at face value. But a transaction modifier really helps address the specific evidence needed to challenge the dispute. The main challenge for merchants is finding a source that has all transaction modifiers and reason codes in one place. And once they find a source (i.e., Visa Rules), there’s a lot of technical terms to dig through before you can finally interpret it. Fortunately, we’ve done all the digging and interpretation for you. The merchant’s challenge has been resolved with this eBook. 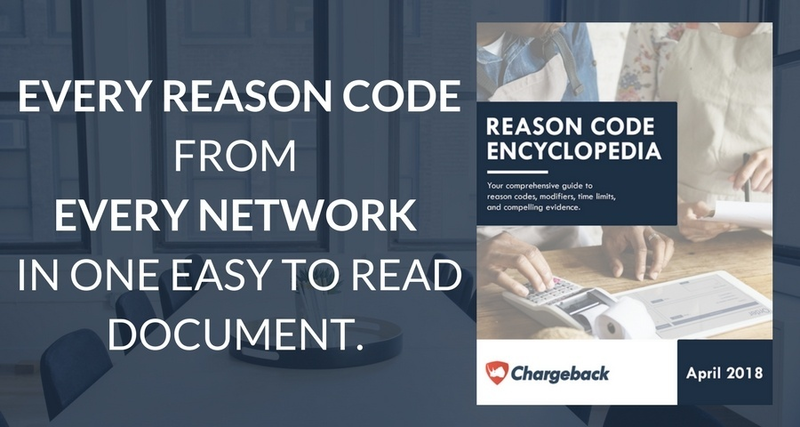 Basically, the Chargeback Reason Code Encyclopedia has all the information you need to understand each transaction modifier. It’ll also give a clear interpretation of each reason code, and tips on how to respond to a dispute. Moreover, the latest edition also has a section dedicated to explain the Visa’s dispute process, which has been streamlined by the Visa Claims Resolution. You can also learn more about the VCR by reading our related post right here. The best way to dig through the technical terms is through automated dispute management. In a way, the Chargeback App extracts the transactional data related to the dispute. It does so by first integrating with your sources, which include your ecommerce platforms, processors and payment gateways. This gives you more time (and guidance) to write your response and gather compelling evidence. And it doesn’t stop there. The App allows you to export reports that aggregated all of your data elements. You’ll gain a better visualization of where to improve, how to meet your objectives and what is your current status in dispute management. Why have numerous spreadsheets in different sources, where your can have everything all in one place? The Chargeback App can help you with that. 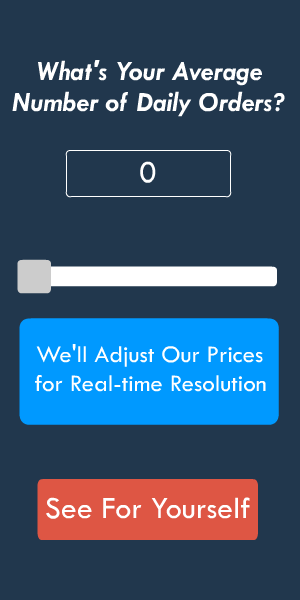 Feel free to contact us to learn more about the Chargeback App and how it offers Real-time Resolution. You can also view our prices to see how affordable it is manage disputes in-house. And finally, you can request a demo and experience how Real-time Resolution can improve your win rate. Until then, we’ll be informing you and others about other tips in dispute management.